eTokens are authentication devices from SafeNet Inc. (former Aladdin). 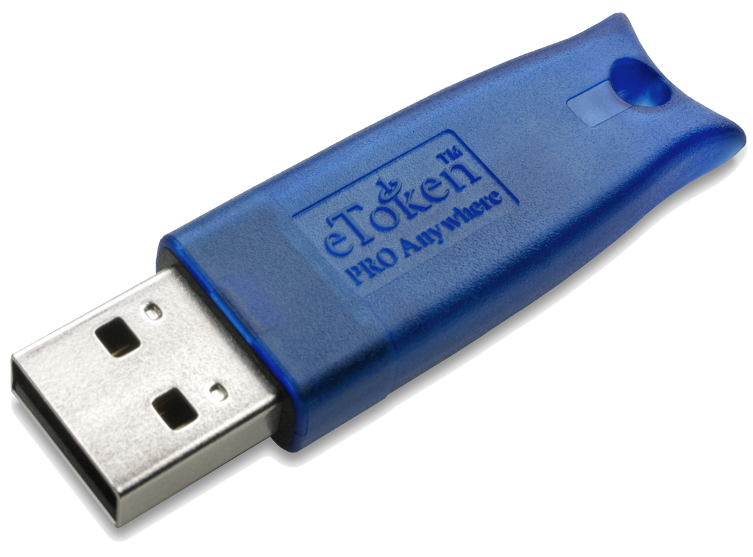 The original eToken Pro is a Smartcard in an USB stick housing. The big advantage is, that the smartcard reader is already built in. The rollout of an eToken is much easier. If you are enrolling smartcards, you need also to enroll smartcard readers, i.e. you need to install a smartcard reader at every PC. The eToken product family also contains the eToken PASS and eToken NG OTP. The eToken PASS is a pure OTP token. Pressing the button on the eToken PASS generates a one time password (OTP). 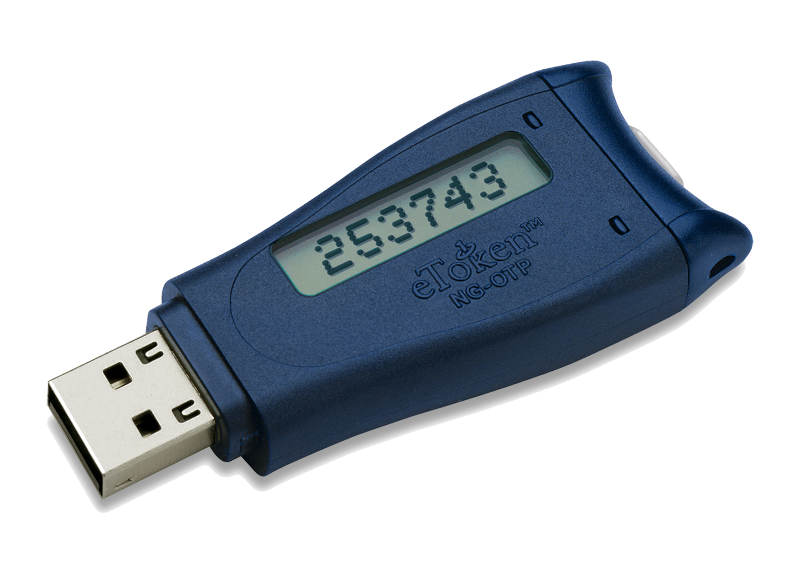 But in contrast to other key fob OTP token the eToken PASS can be programmed with a special USB programming pen. I.e. the secret seed, that is used to generate the OTP value, is generated by you in your company. No vendor or distributor will know the secret seeds of these OTP tokens. The eToken NG OTP is a hybrid device. I can work as a smartcard and also as an OTP token. The OTP part can be initialized via the USB port. So you can use secure seeds also with this token. We use eToken Pro, eToken PASS and eToken NG OTP in our customer projects for two factor authentication but also for document signing, email encryption and full disk encryption (eToken Pro). You can manage the eToken with the SafeNet Authentication Manager or with privacyIDEA.